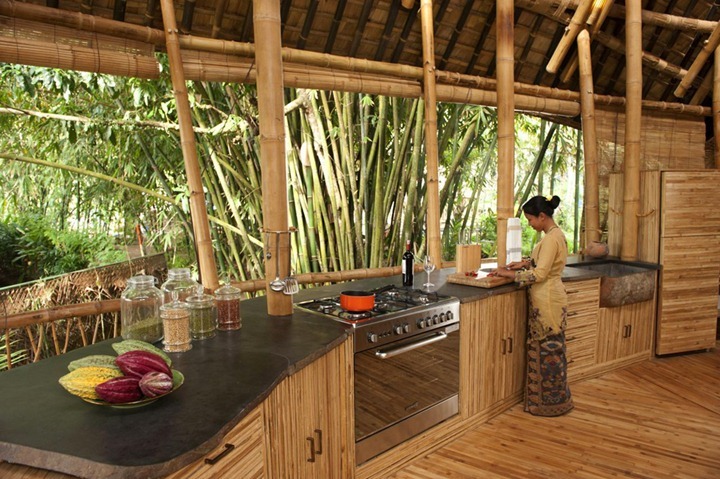 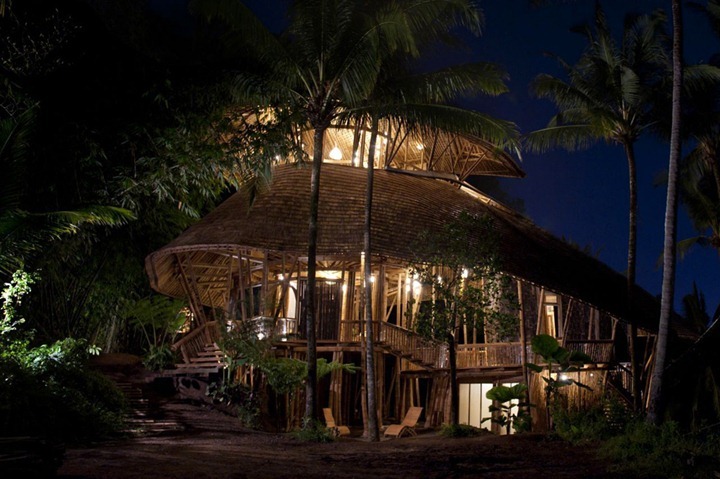 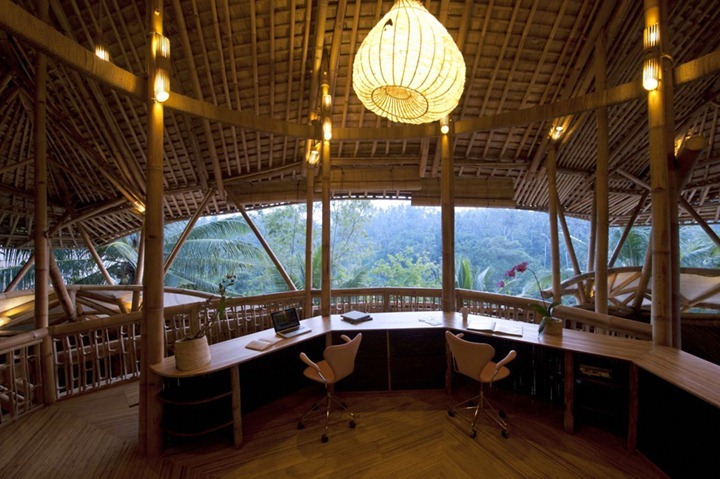 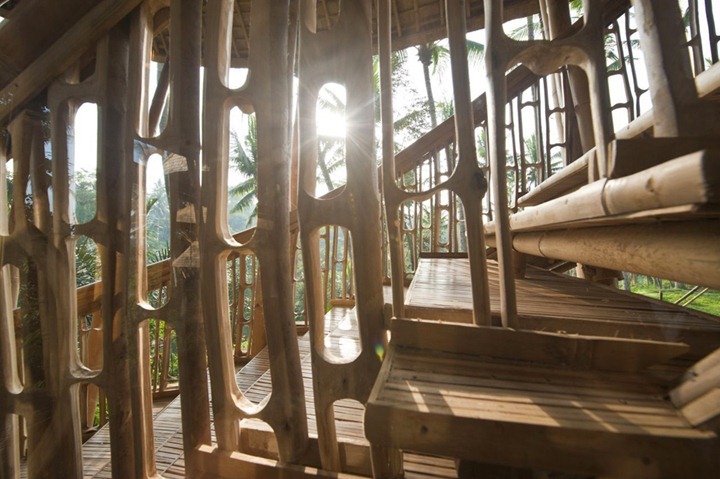 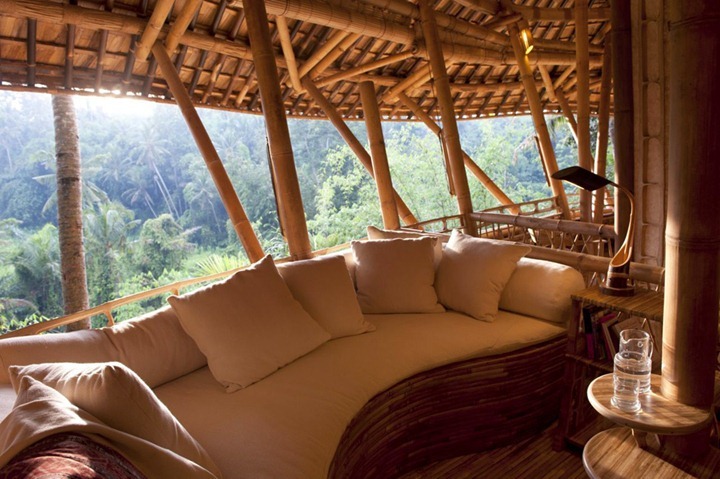 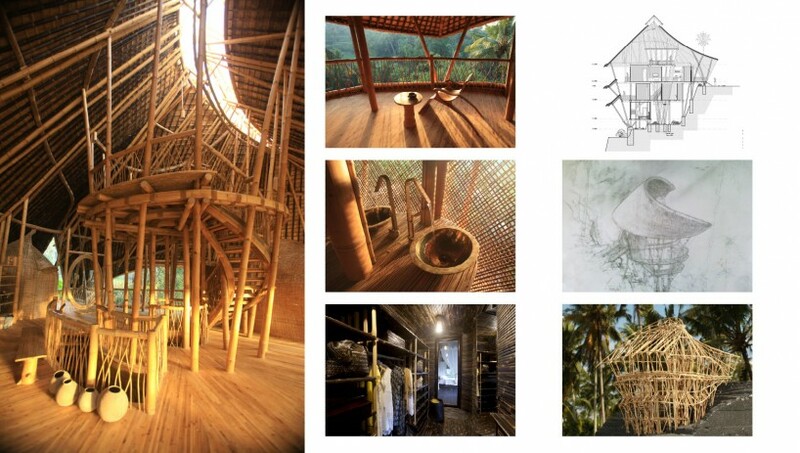 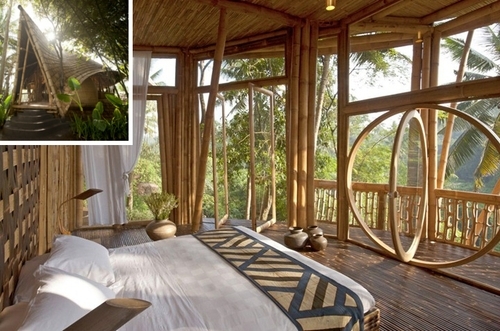 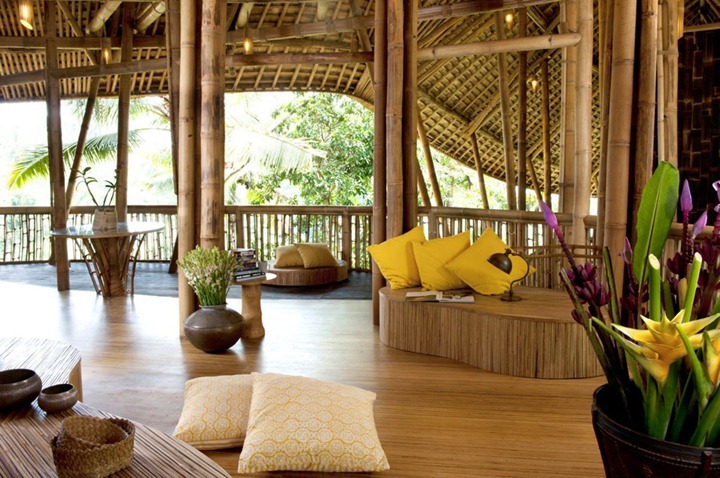 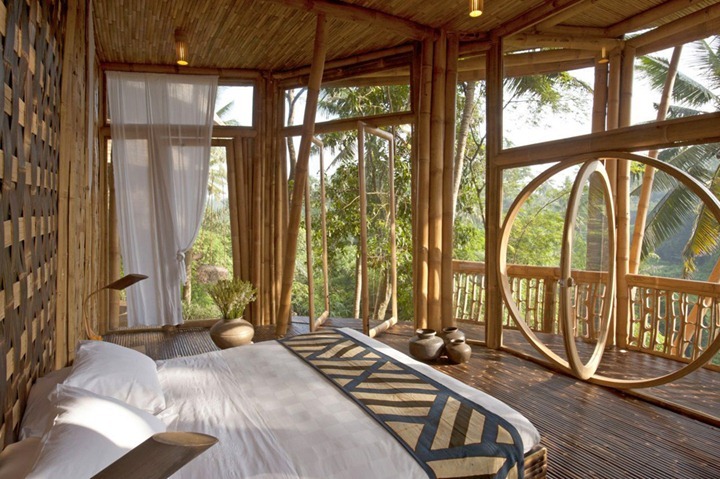 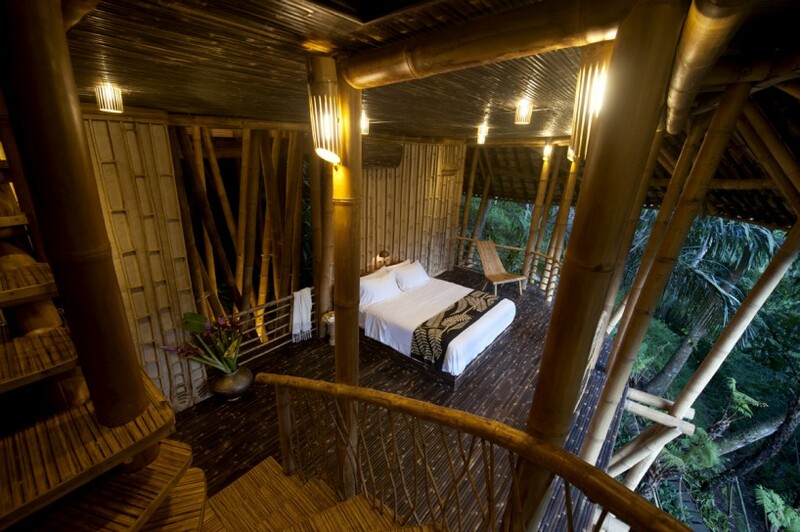 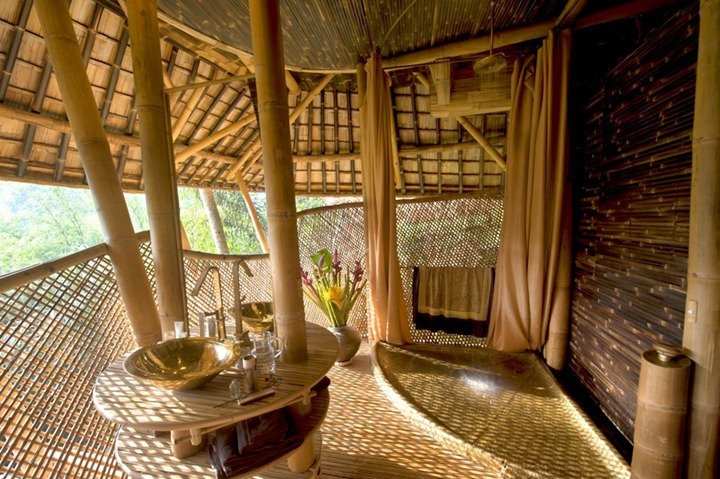 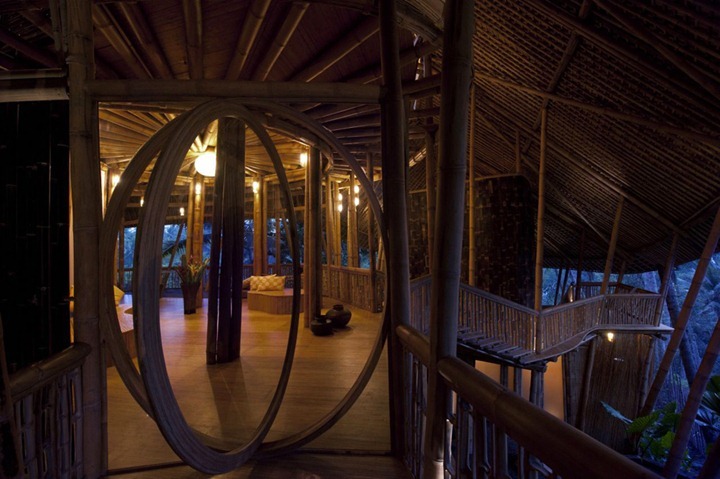 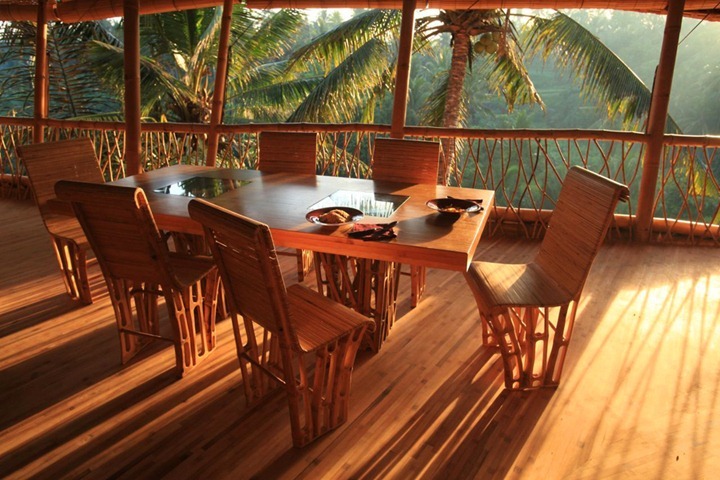 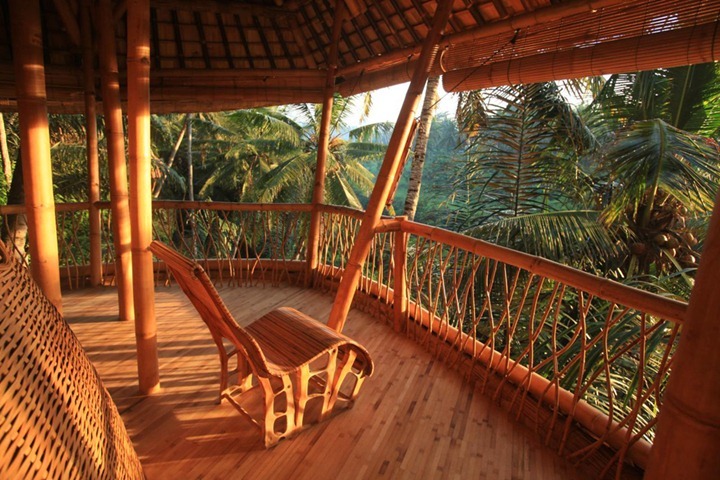 Ibuku designed this beautiful bamboo house in Bali. 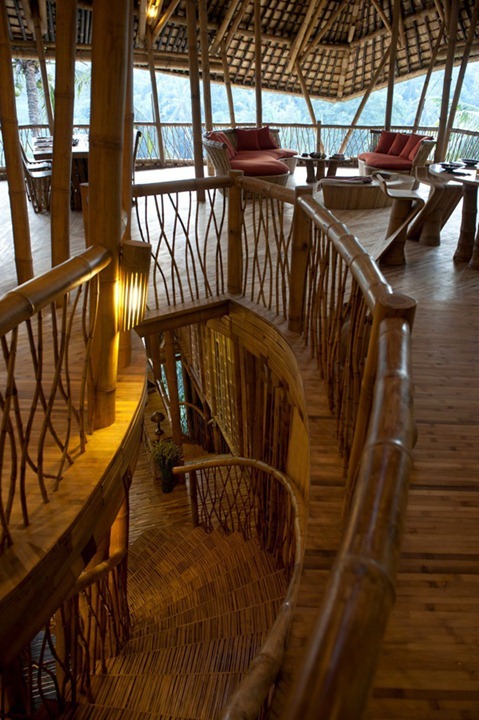 It consists of a three bedroom house, split on four levels, that descend with the slope, it is built on. 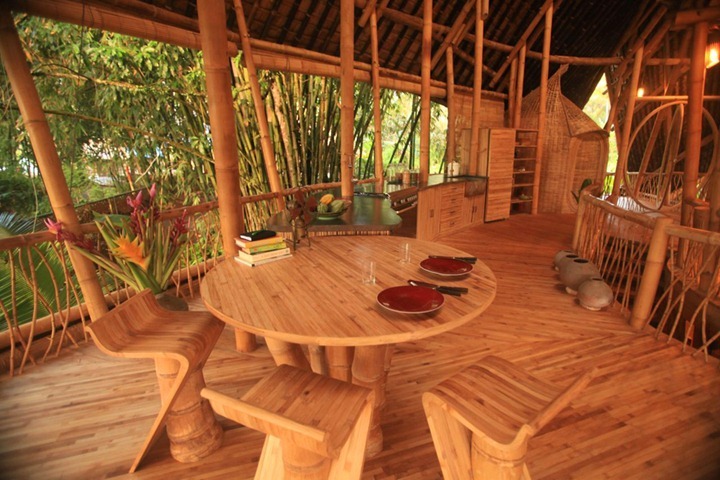 The house includes an open plan Kitchen, Dining, Living Area, as well as a Media Room and an Office. 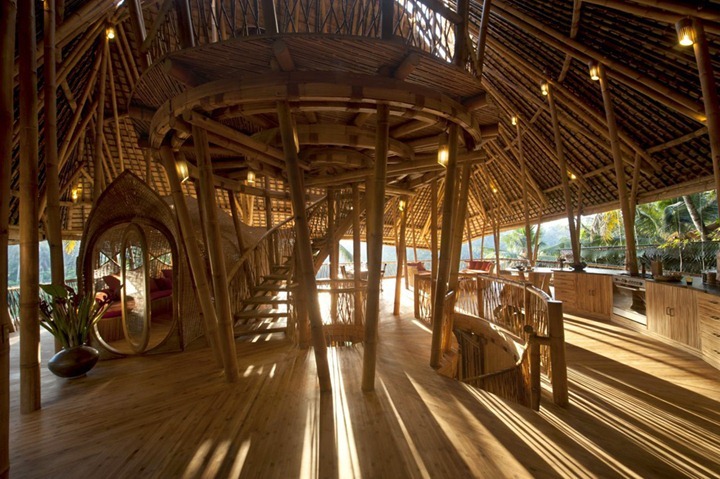 It was completed in six months and has a 325 m² (3498 ft²) Floor Area. 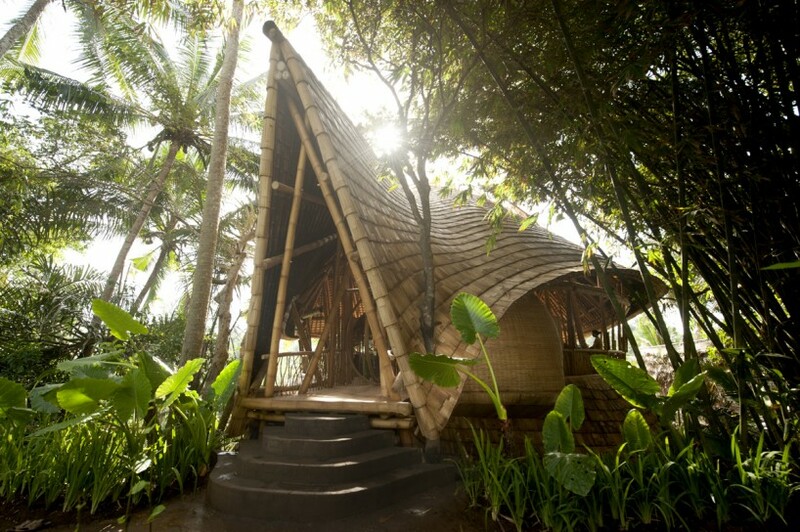 The open structure of the building really makes the most, of the beautiful weather they get in Bali, a dream for the countries that experience harsher winter weather.